Interior Design tips: What works best with black? Making your bathroom child friendly not only ensures that you’re happier, but will help the kids get in and out more efficiently. Getting your children ready for the day ahead or for bed means you can get on with your day or get to bed much quicker than before. It’s impossible to control your children’s every move and this is why non-slip flooring is ideal. Avoiding dangerous falls in the bathroom will prevent potential chaos and emotion, meaning getting your kids clean and ready for bed won’t take so long. This type of flooring is often overlooked as people generally prefer a more polished look, but an attractive modern design can still be achieved with this type of flooring. If you’re thinking of replacing your hot water unit anytime soon, consider having a gas unit installed. A gas system allows you to control the temperature to ensure your kids get the perfect temperature year round. If you don’t plan on replacing this unit, ensure you give the shower, bath or sink time to heat up and gauge the temperature before your child’s skin touches the water. The bathroom can quickly become a messy space if there is no storage, in particular for bath toys. Having a drawer, basket or storage tray will ensure your bathroom stays clean. Make it a task at the end of bathing your kid/s to put everything back in storage. This will also prevent loosing any beloved toys and minimising potential trip hazards. As our children are generally shorter than us, at least while they’re young, there will be issues with cabinet, sink and mirror height. Ensure your kids can access these features if they’re old enough to do so by having a lower cabinet or mirror installed. If you’re renting or your home has already been built, incorporating a stepping stool is an inexpensive option that will assist with height restrictions. 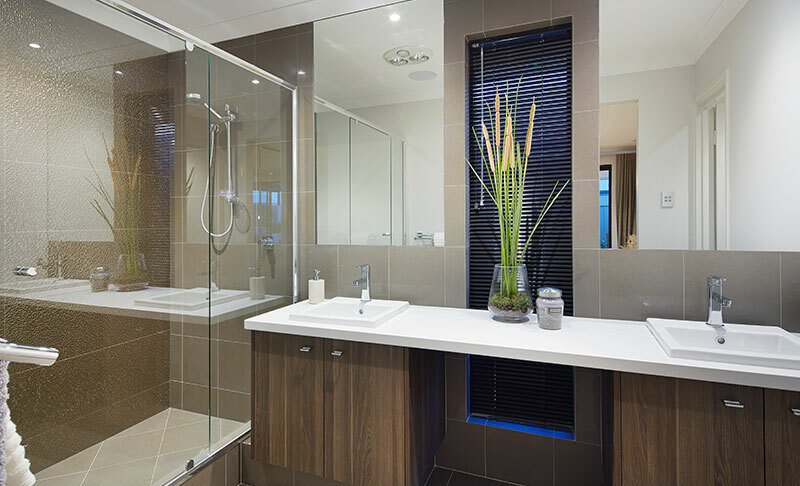 Avoiding sharp edges in the bathroom is essential, especially as cabinets may be at eye level for children. Whilst making design choices or changes keep in mind how easily your kid or kids could hurt themselves. Considering softer options such as rounded edges for cabinets instead of sharp corners can make all the difference. Kid’s aren’t the best when it comes to opening or closing doors gently, so removing the shower screen entirely is a great idea. If your shower has a screen alone or a shower curtain for further privacy then this would be a safer option. 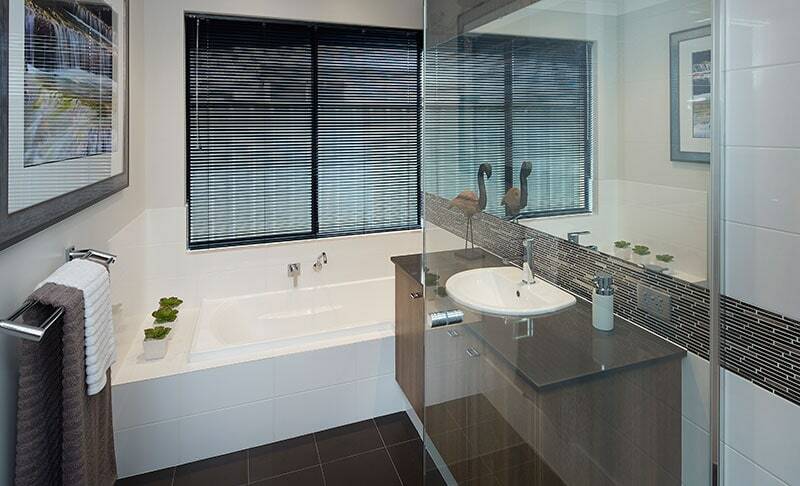 If you are currently building or want to renovate your bathroom, consider having two basins installed. This will specifically help those who have more than one child or even if you or your partner would like to get ready whilst your child cleans their teeth. Having two basins in your bathroom generally means you have more space which is also a benefit when it comes to getting your children ready. Having a soft close toilet seat is a great idea as children can easily get there hands trapped. A soft close seat will mean that even if there hands are still on the toilet they will avoid any bruising or further damage caused by a normal toilet seat. The best option for your shower is to have an adjustable head. Fixed shower heads are generally too high for children and this makes the cleaning process more difficult. An adjustable head means it can removed and used easily for a child of any age or height, including adults. Having a clothes basket means dirty items can be thrown into it before showering or bathing, to reduce the clutter and uncleanliness of the bathroom. From here it’s as easy as taking it to the laundry. Simple steps like this will ensure the experience of getting your kids ready is much easier. Having a bath edge makes bathing your children much easier, as apposed to kneeling or sitting on the floor. If you are purchasing a new bath, choose a design where you can sit comfortably as bathing kids can take time. If you already have a bath, getting a larger stepping stool or something to sit on will make the process more comfortable. Having a towel rail that is out of reach means the little ones won’t be able to swing off it. You can teach them to hang their towel back or you may have to do it yourself, but this is definitely a safer option to reduce potential danger. Take a look at our blog on How To Ensure Your Home Is Child Friendly for extra hints and tips. 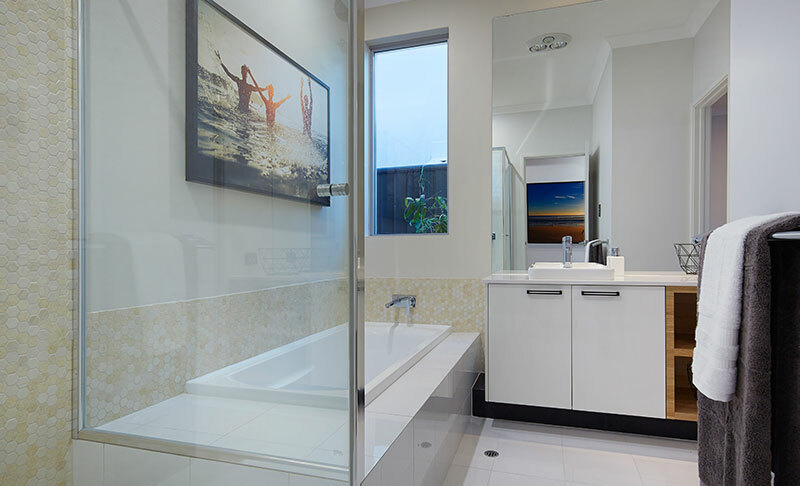 For another interesting read, take a look at the 2015 Award Winning Bathrooms by Ventura Homes. Very Ventura is Ventura Homes’ lifestyle blog focusing on the latest design trends, home and garden inspiration, food and drink ideas, tips about life and style, how-to articles and top things to see and do in Perth and WA. It’s all here to help you and your family get more out of life – now’s that’s very Ventura! View more beautiful homes on the Ventura Homes website. All content is © 2019 Very Ventura by Ventura Homes, unless otherwise stated.